This week on The Bugcast: a celebration, and a lamentation, plus 8 great tracks of Creative Commons and independent music from Josh Woodward, Jeffrey Philip Nelson, Racecar, Blade Of Grass, Anna Jordan, Andy Hawk, Jill Zimmerman, and Christian Kane. This week on The Bugcast: we discuss barred dogs, the consequences of justice, Caroline inserts something into the running order, and we play 8 great tracks of independent and Creative Commons music from Brigitte Bop, Chaz Robinson, Second Step On Moon, Mirva, Seralola, The Glass Child, Josh Woodward, and Jubilee Riots. 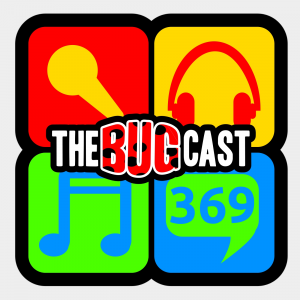 This week on The Bugcast: we park our tanks on an iPhone 6 without bending it, and we play 8 great tracks of independent and Creative Commons music Gin Factory, Jubilee Riots, Josh Woodward, The Glass Child, Julia Haltigan, Mirva, Dayung, and Chaz Robinson. This week we discuss the highs and lows of the last week, and play our usual cracking mix of 8 Creative Commons music tracks from Puppet Lane, Paul Klason, Drumland, Ronston, El Estudiante, Lia & Gasher, Music Box and Josh Woodward.